The Laval Rouge et Or proved to be in better shape than the Concordia Stingers Saturday afternoon at Concordia Stadium, winning by a score of 37-18. The Maroon and Gold just couldn’t get the job done against a strong Laval team, who were up 26-7 at half-time. The Stingers offence had trouble getting points on the board, with a handful of incomplete passes, as well as being indecisive on two occasions from within the 20 yard line. Laval proved to be better on offence. Miller threw for an astonishing 361 yards but surprisingly enough, the receiving core were unable to convert a touchdown for their quarterback. Despite the loss and the mistakes made on special teams, Donovan believes this matchup was the the best the Stingers played against Laval in his three-year tenure. 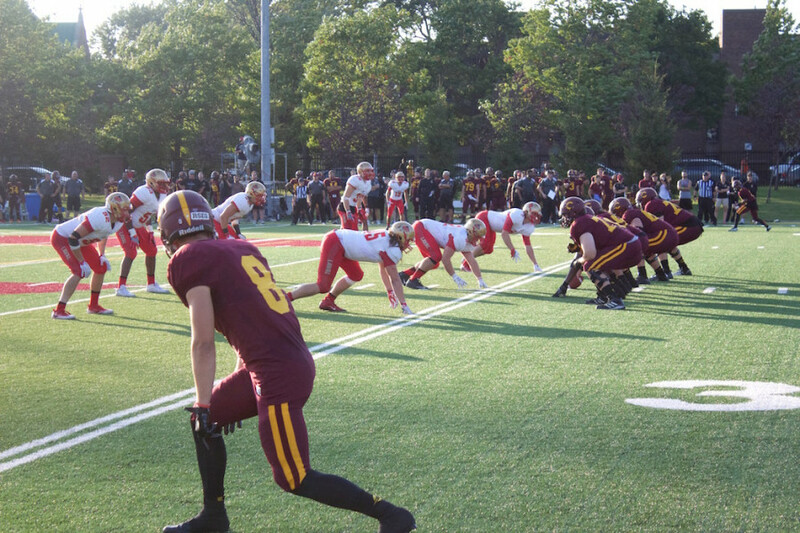 The Stingers will have little time to recover from this loss as they will travel to the other side of Mount Royal to face the Université de Montreal Carabins on Friday Sept. 16.